Having started in his homeland with Entente SSG and Montreuil Red Star he moved to England and joined North Greenford United. He then played for Southall, Waltham Abbey and Hayes and Yeading United before joining Leatherhead. 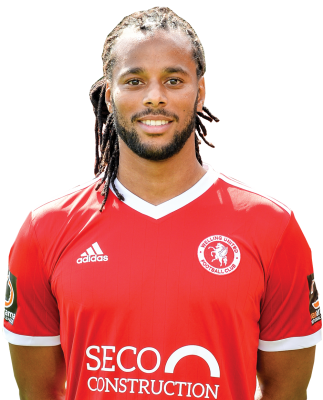 Last season he signed for Steve King’s Whitehawk where he was almost part of the great escape. He followed King to Welling, signing on the eve of the season.